My husband captured it candidly with his camera phone. 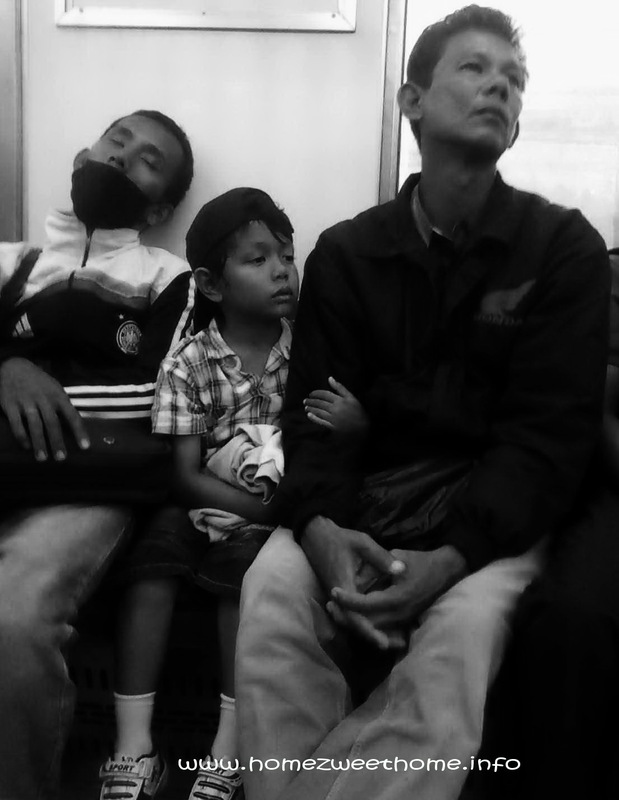 We were on the train that took us back from Jakarta (capital city of Indonesia) to my city, Bogor. It’s not a long time journey; only about one hour. The comfortable temperature inside the train turns tiredness into sleepiness. In fact, I didn’t know if my husband took a picture of them; as I also slept along the ride. That's a fun candid photo. Under those circumstances my husband would have taken one of me! i think i do that sometimes, especially on my way home..